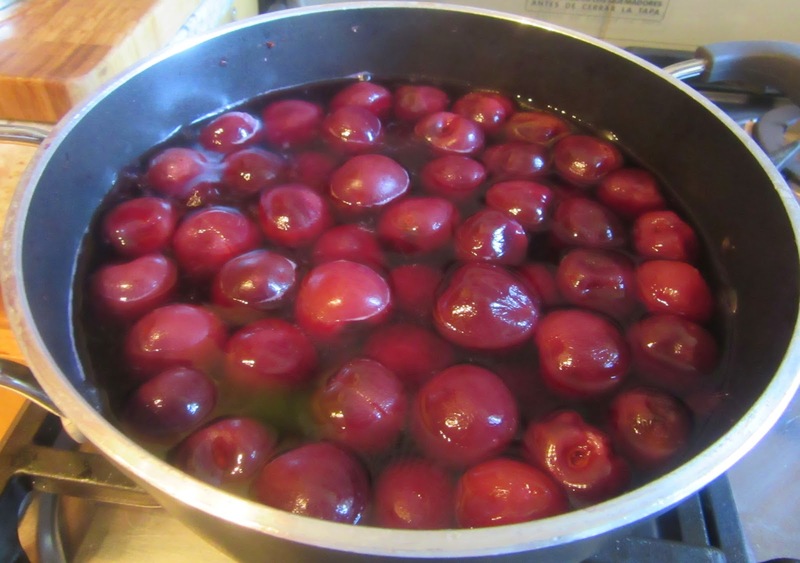 Boil cherries in water until soft and white. Remove the water and sprain the cherries. Mash them by hand until all the liquid is removed. Put them in a pot. For each pound of cherries add one half pound of sugar. Bring to a boil, stirring constantly. Use a candy thermometer and heat until it reaches 220ºF/110ºC. Remove from heat and pour it into a glass jar. Add ground cloves and cinnamon if desired. Toma cuantas guindas quisieres y ponlas en una caza al fuego y echarás agua de sí, y déjalas cocer en esta agua hasta que ternen muy tiernas y parecen blancas; y después echa a mal aquella agua suya en que se cocieron; después toma un cedazo de cerdas muy ralo, que se puedan colar y fregarlas tanto con las manos que pasen todas. Después toma para cada una libra destas guindas, asó preparadas media libra de azúcar y mézclalo en su casa a fuego manso; siempre trauéndolo con una caña hasta que scan cocidas; u después apártala y pon este letuario en vaso vidriado bien atapado; puedes si quieres poner algún clavo u n poco de canela en él. Take as many sour cherries as you wish and put them in a saucepan upon the fire; and cast them in water by themselves, and let them cook in that water until they turn very tender and appear white; and then throw out that water of theirs in which they cooked; and then take a sieve of very thin horsehair, in which you can strain them, and rub them so much with your hands that everything passes through. 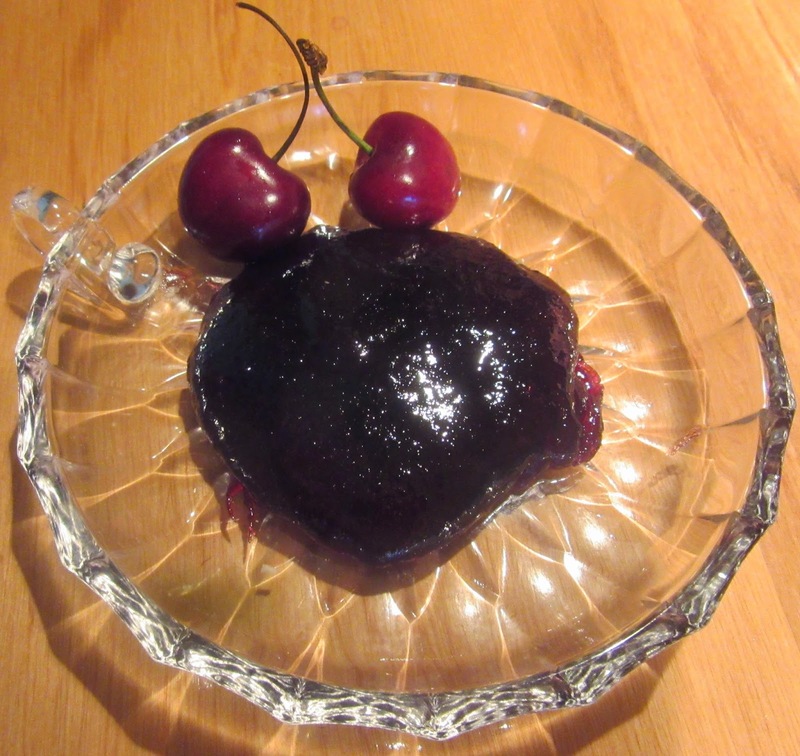 Then for each pound of these cherries prepared like this, take half a pound of sugar and mix it in your saucepan on a gentle fire, constantly stirring with a cane until they are cooked; and then put it aside; and put this electuary in a vessel of glazed earthenware, well-stoppered; if you wish, you can put some cloves and a little cinnamon in it. This is the same recipe which appears in Pérez’ translation of Nola #98, pg 120. See blog titled dolentes published January 15, 2014.